CCLD partnered with the Center for Culturally Relevant Pedagogy to develop a classroom observation tool to measure teachers’ use of culturally responsive literacy practices. The Culturally Responsive Instruction Observation Protocol measures teachers’ instruction along eight key pillars: assessment practices, teacher dispositions, classroom climate, planned curriculum activities, instructional discourse, family collaboration and involvement, instructional strategies/pedagogy, and sociocultural perspectives. Cantrell, S., Correll, P., Malo-Juvera, V., Cornelius, C., Ivanyuk, L. (2015). Culturally Responsive Instruction Observation Protocol (CRIOP) Professional Development: Year 3 Program Evaluation. A report prepared for the United States Department of Education Office of English Language Acquisition. Washington D.C.
Cantrell, S., Correll, P., Malo-Juvera, V., Ivanyuk,L. (2014). Culturally Responsive Instruction Observation Protocol (CRIOP) Professional Development: Year 2 Program Evaluation. A report prepared for the United States Department of Education Office of English Language Acquisition. Washington D.C.
Cantrell, S., Correll, P., Malo-Juvera, V. (2013). Culturally Responsive Instruction Observation Protocol (CRIOP) professional development: program evaluation. A report prepared for the United States Department of Education Office of English Language Acquisition. Washington D.C.
Powell, R., Cantrell, S. C., & Rightmyer, E. (2013). Teaching and reaching all students: An instructional model for closing the gap. The Middle School Journal, 44, 22-30. Powell, R. & Rightmyer, E. (2011). 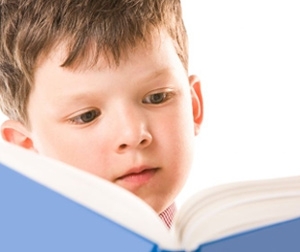 Literacy for all students: An instructional framework for closing the gap. New York: Routledge.